A libertarian think tank on Monday alleged that the Medicare for All plan backed by Sen. Bernie Sanders would put the brunt of the proposal's costs on provider pay cuts. In a white paper released Monday by the Mercatus Center of George Mason University, senior research strategist Charles Blahous claimed healthcare spending constraints laid out in the plan from the Vermont independent senator fall almost totally on providers. The plan could save the U.S. more than $2 trillion over 10 years in national healthcare spending, but could increase the federal government's costs to nearly $33 trillion above current levels, according to Blahous' calculations. This analysis will likely push single-payer advocates to hone their message on healthcare pricing to make their proposal viable, said Benedic Ippolito, a health economist with the right-leaning American Enterprise Institute. "Provider payment cuts are doing a lot of heavy lifting here," Ippolito said. "Changes to provider payments, whether you love them or not, have real consequences. And those real consequences extend beyond a budgetary score." While the U.S. healthcare system does need to grapple with the "right price to pay for healthcare," Ippolito said, proponents of the Sanders plan and others like it need to determine what the right rate could be and how it will impact provider behavior, which determines major components of the healthcare system—investments in equipment and buildings, patient access and health outcomes. "It's easy to think about prices as one piece of a broader market, but the thing that's special about prices is that it's the key that unlocks the whole thing," he added. "Whatever price you set will be highly consequential for the entire market. The decision you make for good or bad is extremely consequential, and you can't get around that." Single-payer advocates lauded the paper's findings that the projected provider cuts would roughly pay for universal coverage. 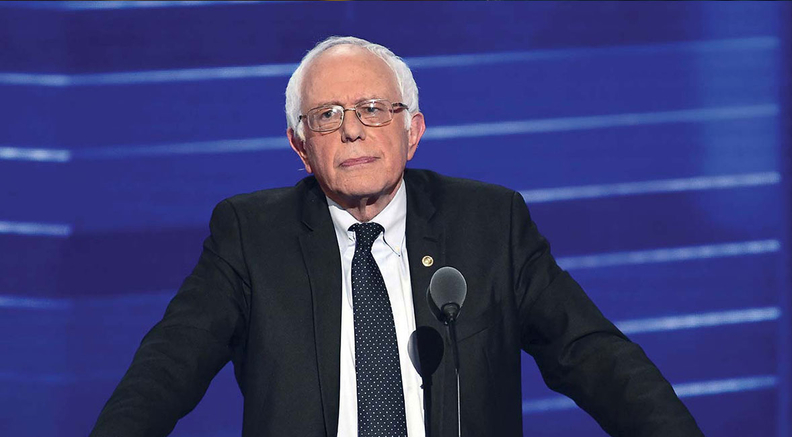 The Mercatus analysis also estimated the healthcare system would save billions every year on drug spending since the Sanders Medicare for All plan allows the HHS secretary to negotiate prescription drug prices with the manufacturers—and presumably refuse to buy certain high-priced drugs. "As a general rule, the greater the percentage of an individual's healthcare that is paid by insurance ... the more healthcare services an individual tends to buy," Blahous wrote. Blahous maintained that the jury is still out on whether MACRA effectively reins in provider costs, warning that the Medicare for All transition could disrupt access to healthcare as universal coverage goes into effect. He also noted that while some Medicaid-dependent providers would see a pay boost in the early years as their traditionally much-lower Medicaid reimbursements would rise to Medicare rates, they would start losing money soon after. To back up his warning, Blahous cited the CMS' Office of the Actuary's projections that current payments would lead to negative operating margins for nearly half of hospitals by 2040. By 2019, over 80% of hospitals will lose money treating Medicare patients. A dramatic structural change to reimbursement structure could shutter many provider doors, Blahous wrote. The paper acknowledged that phasing out employer-sponsored healthcare would translate into a huge increase in taxable wages, as it would free individuals, families and employers from hefty healthcare spending. States would also no longer have to fund Medicaid, consistently their largest budget item. "These offsetting effects should be considered when weighing the implications of requiring federal taxpayers to finance the enormous federal expenditure increases under M4A," Blahous wrote. "These estimates should be understood as projecting the added federal cost commitments under M4A, as distinct from its net effect on the federal deficit. To the extent that the cost of M4A is financed by new payroll taxes, premium collections, or other revenue increases, the net effect on the federal budget deficit would be substantially less." Last week, the House passed a packet of bills originally projected to cost more than $90 billion to expand use of HSAs. In a subsequent speech before the conservative Heritage Foundation, HHS Secretary Alex Azar praised HSAs as a way to lower unnecessary spending, saying that from his own behavior when he had an HSA he was much more cautious about the number and manner of services on which he was willing to spend a limited number of dollars. The Democratic Party at large is keeping Sanders' Medicare for All plan at arm's length, but its principles are gaining traction within the party. Prominent Democratic senators including Elizabeth Warren of Massachusetts, Kamala Harris of California and New Jersey's Cory Booker have signed onto Sanders' bill. "In my time of listening to these single-payer proposals, a lot of emphasis is on administrative savings—they appeal to that because they don't rile up constituencies," he said. "But going after provider payment rates means taking on one of the most well-organized constituencies in domestic policy. When I read this, it struck me as: this really wants to pick a fight. It promises the moon, but it does set up, surely, that something's got to give here."